On his 65th death anniversary, ThePrint recalls the life of the revolutionary who was a founding member of the CPI. 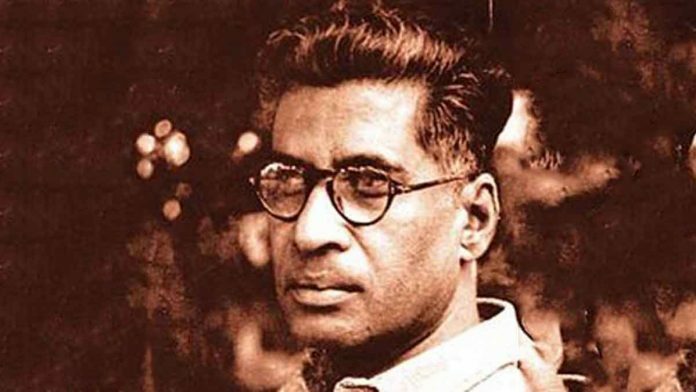 Manabendra Nath Roy or M.N Roy, is one of India’s more colourful and unusual international revolutionaries. A founding member of the Communist Party of India, he also established the Communist Party in 1917 in Mexico, hobnobbed with Joseph Stalin and fought the violent overthrow of British rule in India. The CPI, which split in 1964, may be in decline at present, but until 2009, it was a force to reckon with in Indian politics. On his 65th death anniversary, ThePrint recalls the life of the Indian revolutionary. Narendranath Bhattacharya, who later assumed the name Manabendra Nath Roy, was born 21 March 1887, at Arbelia (North 24 Parganas), West Bengal into a family of priests. During his childhood, Roy visited maths and ashrams to educate himself. His father, Dinabandhu Bhattacharya, also taught him Sanskrit and ancient Indian texts. At 14, Roy joined the underground revolutionary organisation Anushilan Samiti. After it was banned, he helped to organise the Jugantar Group under the leadership of Jatin Mukherjee. Roy also participated in a series of political dacoities against British rule. In November 1908, he shot dead Nandalal Banerjee, the police officer who had arrested revolutionary Khudiram Bose. Bose (18) was hanged for an attempt to assassinate Douglas Kingsford, Chief Presidency Magistrate of Calcutta. In 1915, after World War I had begun, Roy made several trips to Indonesia, with help from German contacts, to procure arms to overthrow the British. In 1916, he landed in the United States. This forced him to flee south to Palo Alto, California. It was here that he changed his name from Narendranath Bhattacharya and became Manabendra Nath Roy. When the United States participated in WWI, Roy was arrested for his anti-colonial leanings. He jumped bail and escaped to Mexico. In Mexico, he became a vocal advocate of the socialist state and founded the Mexican Communist Party in 1917. Roy was a restless spirit always on the move. Inspired by his experiences in Mexico, Roy founded the Communist Party of India in 1920 along with six other leaders at Tashkent now in Uzbekistan. He also travelled to Moscow to attend the second conference of the Communist International. There he formed a formed a favourable impression of Communists leader Vladimir Lenin, met Joseph Stalin and became a part of the Communist International. By 1926, he was serving the policy-making bodies of the Communist International and in 1927, he visited China. Roy’s mission to make Chinese Communist Party implement guidelines by the Communist International failed. Following this, he was expelled from the Communist International in September 1929. Roy returned to India in 1930 and was sentenced to six years imprisonment in 1931 for his involvement in 1924 Kanpur Bolshevik Conspiracy case. While in jail, Roy wrote Prison Manuscripts, a set of nine thick volumes. These have not been published in totality. They are preserved at Nehru Memorial Museum and National Archives of India, New Delhi. After his release in 1936, Roy joined the Indian National Congress. He left the party later in 1940 as a result of Congress’ reluctance to aid the British in World War II. In 1946, Roy established the Indian Renaissance Institute at Dehradun in order to develop the Indian Renaissance Movement. Roy died of a heart attack on 25 January 1954.